The thalamus is the central translator in the brain: Specialized nerve cells (neurons) receive information from the sensory organs, process it, and transmit it deep into the brain. 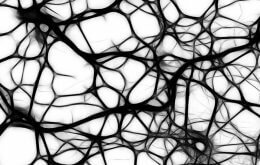 Researchers from the Institute of Toxicology and Genetics (ITG) of KIT have now identified the genetic factors Lhx2 and Lhx9 responsible for the development of these neurons. Their results contribute to understanding the development of the thalamus. In the long term, they are to help healing thalamic strokes. In the long term, the scientists want to be able to heal damaged brain parts by a tissue replacement therapy. If, for example, brain tissue is damaged after an infarct, is the body is not able to regenerate this tissue. “Today, stroke is the most frequent cause of disability acquired at adult age and due to its central role, damage of the thalamus is very serious,” emphasizes Steffen Scholpp. “For this reason, we have to find a strategy to activate stem cells such that the damaged tissue can be replaced.” Recently, an important step was made by the scientists: By studying zebrafish, they identified Lhx2 and Lhx9, the factors controlling the development of neurons in the thalamus. “Without these factors, the thalamus would accommodate undifferentiated nerve cells only – this means, the precursory cells lack the information required for specialization,” explains the biologist. 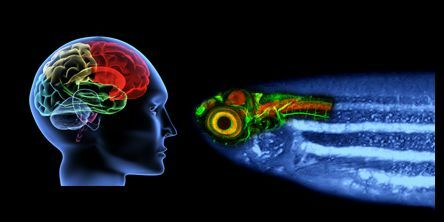 Analysis of brain development in zebrafish allows conclusions to be drawn with respect to the development in all vertebrates, including human. The results of the group are published in the current issue of the “PLoS Biology“ journal. In the same study, Scholpp and his team identified another factor that acts as “adhesive” in the thalamus: The cell adhesion molecule Pcdh10b ensures development of the thalamus without mixing with the surrounding brain areas. If this factor is lacking, the neurons differentiate, but do not find their target destination. It is now the objective of the researchers to activate these factors in the cultivating dish (in vitro) in undifferentiated cells first for new thalamus tissue to form. In close cooperation with engineers, the biologists are already developing 2-dimensional cell culture systems. In January, they will start a 3D cell cultivation project. 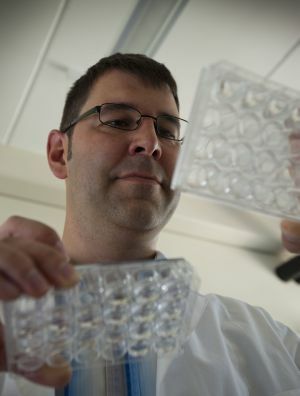 “KIT offers excellent opportunities: Parallel to our research, materials researchers work on the development of various biomaterials (biopolymers) which will be tested in the cultivation experiments”, says Scholpp. Under the Emmy Noether program, the German Research Foundation (DFG) has granted funding in the amount of EUR 1.3 million to Dr. Steffen Scholpp for a duration of five years. The Emmy Noether program is designed to support young scientists in establishing an own working group. The team of Dr. Steffen Scholpp presently comprises one postdoctoral research fellow, three doctoral students, a technical employee, and two master students.